We are pleased to announce the launch of the NCI-UMD Partnership for Integrative Cancer Research 2019 competition. Click on the link below to view more information. Please Share with your faculty! NCI Investigators and UMD Faculty are invited to submit collaborative projects for graduate student support. It is anticipated that several graduate students will be supported through NCI CRTA (Cancer Research Training Award) fellowships starting in the Fall 2019 semester and that tuition will be covered by the University of Maryland. Seed awards will be initially for one year, with a possibility for competitive renewal for second and third year funding. It is expected that NCI investigators and UMD faculty will apply for other sources of project funding to continue the collaboration past this initial project support. How will the collaborative effort be coordinated (meetings, data sharing, etc)? How will the project impact the research direction of the NCI and UMD laboratories? Identify potential future funding sources. Awardees and their mentors are expected to participate in activities of the Partnership. Annual workshops and a monthly seminar series alternating between NCI and UMD are planned. 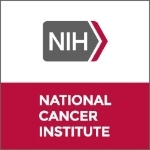 Review Process and Criteria: The aim of this partnership is to bring the expertise and resources in the mathematical sciences, physical sciences, and engineering at the University of Maryland College Park, and basic, clinical, and translational research expertise of the NCI/CCR to bear on the most pressing problems in cancer research. Seed awards will be judged based on student qualifications as well as potential impact, relevance to cancer, innovation and synergism between physics, math, bioengineering & biocomputation and cancer biology. All applications will be reviewed by an ad-hoc committee of NCI and UMD Faculty, Staff and Investigators. UMD Applicants can login with their UMD credentials. Other applicants can register new accounts (see button near the bottom of the login page). If they have difficulties, they can reach out to Hana Kabashi at hkabashi@umd.edu with any issues.